The IAM Western Territory is proud to announce an arbitration victory for Local Lodge 2786. Yet another example that it pays to belong to the IAM. 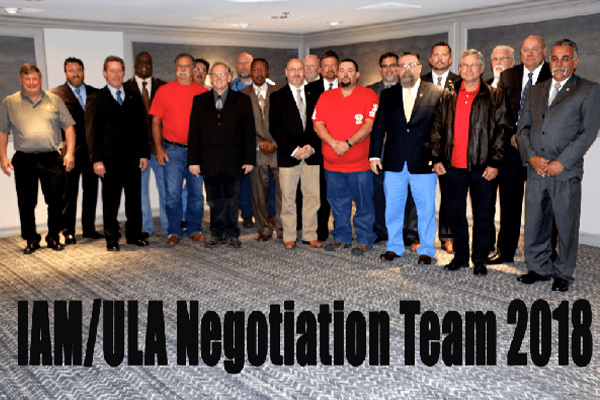 United Launch Alliance (ULA) attempted to cheat employees that were laid off by deploying workers from another site instead of abiding by the contract and recalling our laid off members. Our highly skilled members proudly launch space vehicles for the United States Government at Vandenberg Air Force Base located on the central coast of California. This deplorable act on the part of ULA was nothing more than an illustration of a company trampling on working families, by prolonging the hardships endured by not only their employees but also the dependents of the laid off employees. A clear demonstration that without a contract in place, corporations will roll over their workers any chance they get. Fortunately, this attempt to strip workers of dignity and respect was quickly thwarted, thanks to a strong IAM contract and the solid and dedicated local leadership exhibited by Chief Shop Steward Tom Roeder, Secretary Treasurer Nate Quackenbush and Steward Steven Watts.